The Seagull House, beach resort home in San Diego. Newly remodeled, air conditioned, 2 bedroom/ 1 bath main beach house with 1 bedroom/1 bath air conditioned guest cottage, sleeps 8, professionally designed for our guests! Enjoy a cool, refreshing drink on the front porch, dine al fresco in your own private, secluded back yard patio with outdoor dining set and stainless barbeque and sunning deck. Interior designer meticulously designed every detail, from the 400 - 600 thread count Egyptian cotton sheets , top of the line memory foam mattresses, stainless steel appliances and quartz counter tops in the kitchen, leather furniture, rock showers and beach inspired decor. The Seagull House also includes a well-appointed, fully stocked kitchen, wi--fi, wireless printer, flat screen televisions in each bedroom and living room, laundry facilities, fresh ocean breezes with ceiling fans in all bedrooms and living room and screen doors, games, boogie boards, beach chairs, beach towels, wagon, sand toys, books, shampoo/conditioner/body wash, blow dryers, iron and ironing board, high chair, pack-n-play baby bed, stroller, car seats and ample driveway parking for up to 6 cars. Stroll 2 blocks down the street to Sail Bay, Fanuel Street Park (with a playground, bathrooms and showers) and the boardwalk and 5 blocks to the ocean. Walk a few blocks north to Garnet Street to a myriad of restaurants, bars, grocery stores and the library. We have thought of everything so you don't have to. We want to make your stay in San Diego as memorable as possible!. 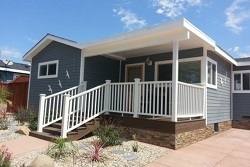 The Seagull House Rental in San Diego CA. Mission Bay, California is a destination you can enjoy water sports activities of every kind. From sailing lessons, kite surfing, and stand-up paddle boarding, to jet skiing, wake boarding and everything in between, there’s something for every age and skill-level to enjoy in the water. You can also take a moonlit cruise on Bahia Belle, a sternwheeler fashioned after a Mississippi riverboat that often features live music. On land, families can rent bikes, picnic, and barbecue or celebrate with bonfires right next to the water. Accommodations in the area are plentiful, from high-end luxury resorts to budget friendly hotels. Mission Bay is also home to SeaWorld San Diego, the world-famous marine life adventure park. With awe-inspiring shows, thrilling rides and unforgettable face-to-face animal encounters, kids of all ages will enjoy exploring the wonders and adventures of the sea. If sport fishing is your passion, a number of operators depart from Mission Bay with options for half-day, full-day and multi-day trips. During the twice yearly seasons, many of these same boats also offer whale watching tours. Discover it all here, in Mission Bay, Southern California..